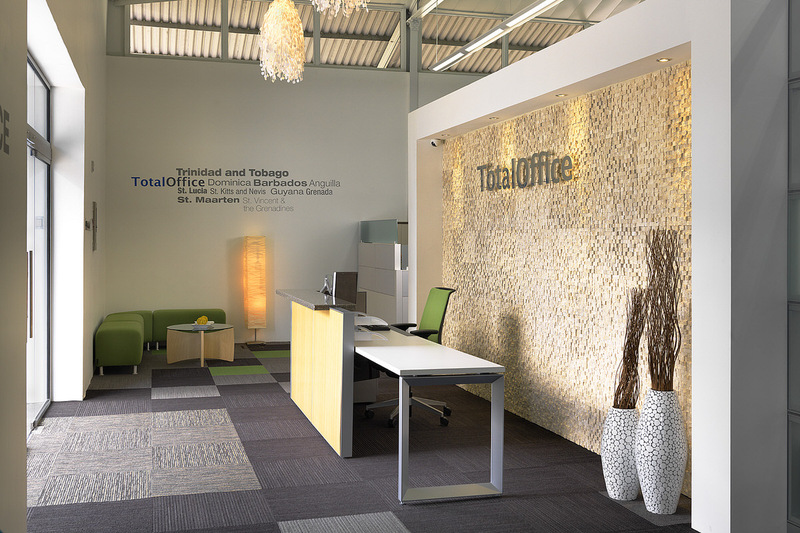 Total Office, a premiere furniture company and Steelcase dealer serving the Caribbean, recently opened their flagship showroom and warehouse in the Fernandes Business Centre at Laventille, Trinidad. I was very impressed with the design of their showroom and felt that it presentetd an excellent opportunity to illustrate how architectural photography can support and enhance both design and marketing. 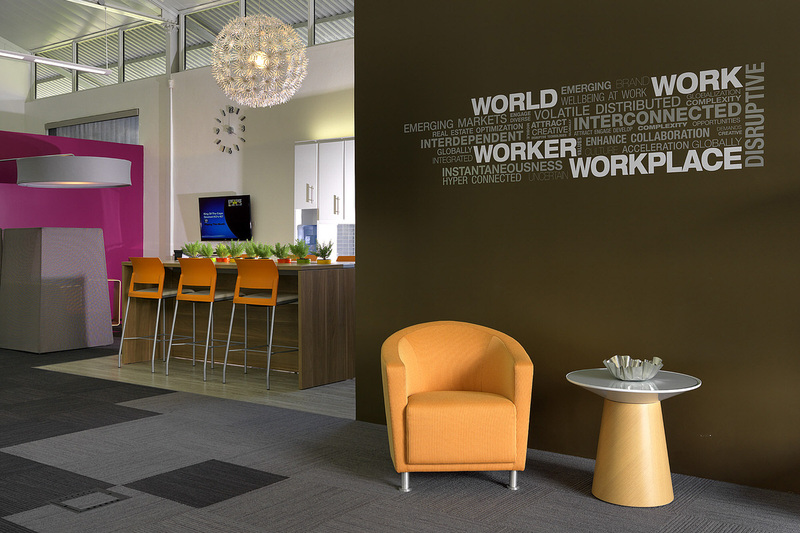 The Total Office showroom is a living display of Steelcase furniture and incorporates a variety of examples of how furniture can support the demands of contemporary workplace functions. 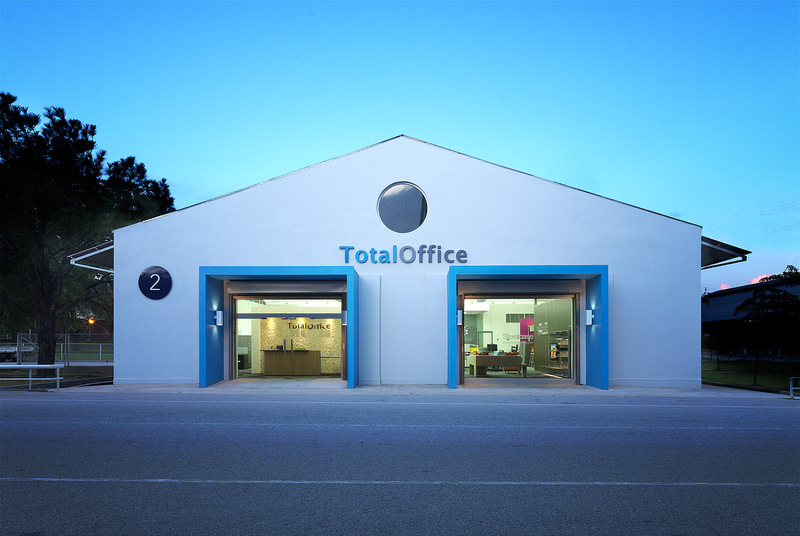 Located directly opposite my firm acla:works, the Total Office Showroom was very convenient for me to photograph. Ryan Proudfoot and Troy Nieves, senior executives of the company, were very receptive to the idea and provided me with an assistant, Brendon Mc Kay who was very keen and helpful setting up lighting and moving around furniture to create the right atmosphere. I think I could become very partial to an assistant and found that Brendan provided me invaluable support so that could concentrate solely on the task of shooting some of the spaces. There is lots of glass in the Total Office interior and I had to use a polaroid filter to reduce some of the reflections and avoid glare. Brendan assisted by setting up my Pro Foto flashes with umbrellas and even handheld my Nikon SB-910 flashes when I needed to focus on other details. Brendan had an enjoyable day learning about architectural photography and I greatly appreciated having him help out. With regard to the exterior façade I was only able to take one shot because shortly after dusk, a mercury vapor streetlight came on throwing out a rather nasty yellow-green light on the scene. I was pleased with the results of my inaugural, serious office interior, especially since it was also the first time I was able to run a set of prints on my Epson 4900 without a single paper jam.